Super Besse ski resort is the perfect choice if you’re looking for a family friendly, all-inclusive experience. From the village plan to the impressive architecture, you’ll find plenty of historic references and reminders of a time long gone. Here you’ll find all you need to know about the Super Besse ski resort, including airport transfers, times, prices and weather. Situated in the commune of Besse-et-Saint-Anastaise, approximately 50km from Clermont-Ferrand, this ski resort offers visitors multiple hiking trails and cross-country tracks around Lake Pavin. The resort itself consists of two villages, Besse and Super Besse, both of which offer picturesque views, all-year-round festivity and community liveliness. 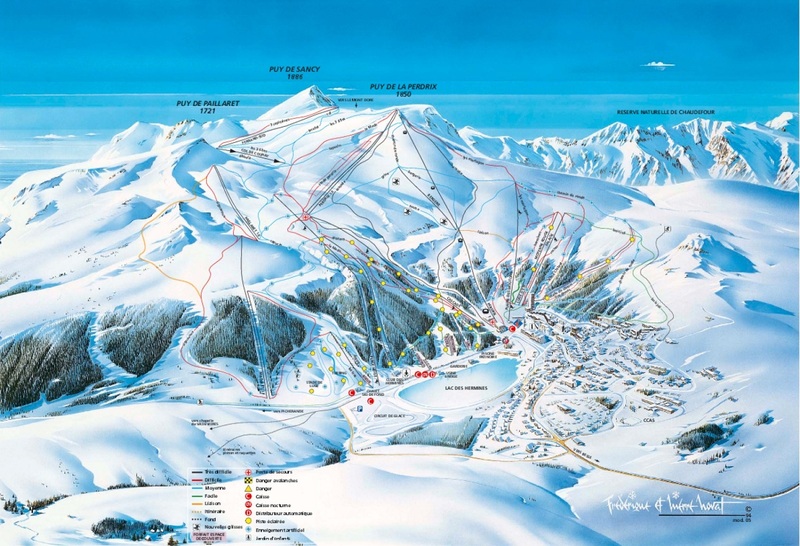 The on piste skiing is 43km along 27 tracks, all between 1300m and 1840m on the south-eastern slope of Puy de Sancy. Expect fitness centres, spas and a wide variety of dining opportunities. Our pricing of transfers is done on a dynamic basis. We don’t just offer a standard, flat rate for our transfer from the airport to Super Besse. Instead, we take into account all aspects of your journey and provide a common sense approach. We already charge less than our competitors, but with our unique pricing system, we’re able to offer the very best deal possible. Our adjustments will only ever result in a lowering of your costs – we never over-inflate our prices for any reason or at any time. Should you be looking for the best possible deals, travelling outside peak season or midweek typically leads to the biggest savings. We offer midweek (Monday to Friday) prices that reach up to 60% reduction in usual weekend prices. Your transfer quote will also depend on vehicle availability, transfer schedule, vehicle utilisation and additional costs such as airport parking charges and road tolls. Travelling with a larger group, or require any specific or specialised services? Please make sure to get in touch directly so we can discuss your needs further. There are a variety of slopes for all different skill levels. While more are best suited to intermediate levels, there is something available for everyone at Super Besse. Our vehicles are situated at the departure airports in order to ensure the lowest prices, most reliable service and a punctual transfer service. • Reliable service – always on hand and we won’t let you down! Organise your ski trip with us online to make certain that you get the fastest, lowest costing and most efficient service possible. If you need any special service or destination that isn’t available here, contact us and we’ll do our best to help you. We operate at the lowest cost possible without compromising on service, reliability or safety. Start and end your trip to Super Besse in the best possible way.